Looking at her bright smile, no one would be able to say that this girl had a challenging past . Muskaan faced everyday challenges with courage and changed them into opportunities. With only 100 hours to live and many medical complications, the first 13 years of Muskaan’s life have taught her some very important lessons, which Muskaan is now ready to share with the world. As of now, Muskaan is currently at Massey University a year early, pursuing her dream degree, a BA in Psychology, while also in talks of running her own fingerprint analysis business with the help of a unique software that will help people analyse their characteristics. 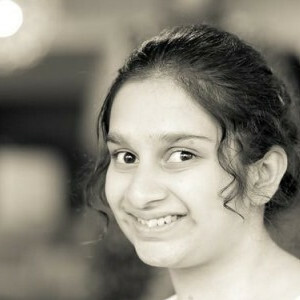 She hopes to build a school for girls in India and see her autobiography as a part of every NZ school curriculum. Muskaan is a passionate public speaker and hopes to help as many people as she can while fulfilling the role of a psychologist. She is also an avid reader and is fluent in many languages. She loves mystery novels, crime thrillers, the sciences, and baking, while also religiously keeping up with the world of Bollywood movies and music.